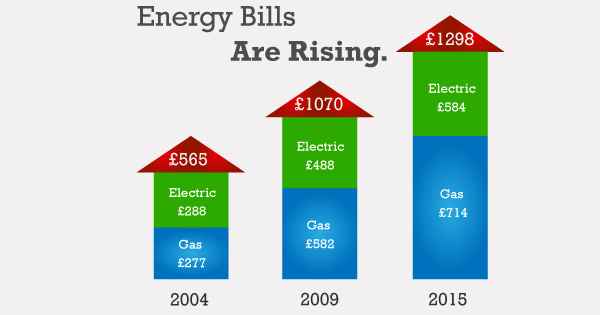 Energy bills have more than doubled since 2004, and they are set to rise considerably by 2020 from on average £1344 to over an eye-watering £2000. There has never been a better time to be insulating your home with Icynene then now. The benefits of Icynene include a warmer house in the winter and cooler home in the summer, lower household bills, improved EPC rating (Making your home more eco-friendly can be beneficial to buyers), and damp proofing. Icynene insulation has reduced household bills by over up to 35%, and in some cases it has been reported of savings of up to and over 45%. This means if bills do go up by the estimated amount in 2020 you could be savings over £500 a year in household bills. WHY ARE HOUSEHOLD BILLS RISING? The UK currently produces enough gas to meet almost half of its needs from the North Sea and the East Irish Sea, where British Gas have been operating since the 1970s. The rest is imported from Norway and the continent by pipeline, as well as from elsewhere in the world by ship using a technology called Liquefied Natural Gas (LNG). As of 2003 The United Kingdom was in the position where we were exporting natural gas to other countries. 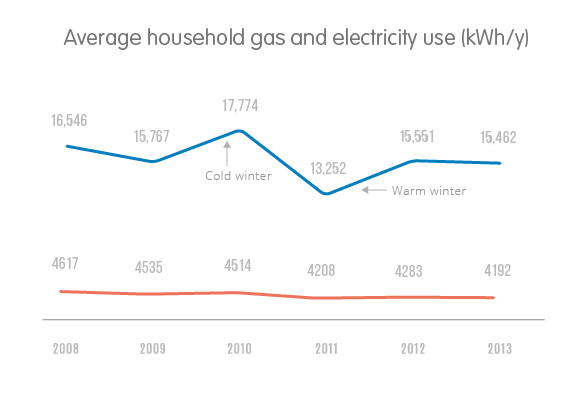 The situation has changed now with The UK only producing 43% of our gas demand. This is due to North Sea declination in the product and other various factors including being exposed to tightening international gas markets, prices and demand. Our insulation aims to bring energy consumption down even lower and put an end to wasting fossil fuel consumption. Icynene is also approved by BBA which means it meets all building standards required for a safe home installation. Icynene can be sprayed onto a membrane fitted by Home Logic, so that your home isn’t damaged by insulation. With traditional spray foam insulations such as Polyurethane, it is applied directly to the roof tiles, this can cause an unfixable issue if you need to replace tiles on your roof in the future. Our insulation is open celled and allows roofs to breathe which is essential for timber framed buildings. Icynene spray foam insulation is also used for soundproofing and is also a great way to prevent pests such as mice nesting in your attic, with traditional insulation such as fibreglass you will find that they provide perfect nests for mice, once they have nested they can lay offspring and leave waste in small areas which may be hard to access. By insulating your home with Icynene you will save up to 35% on your energy bills. Here at Home Logic, we are passionate about serving the people of England with low cost, green-friendly solutions to help reduce bills and associated issues with homes. Why not see the rest of our website or read more about how our Icynene spray foam can help protect your property from damp and reduce household bills.